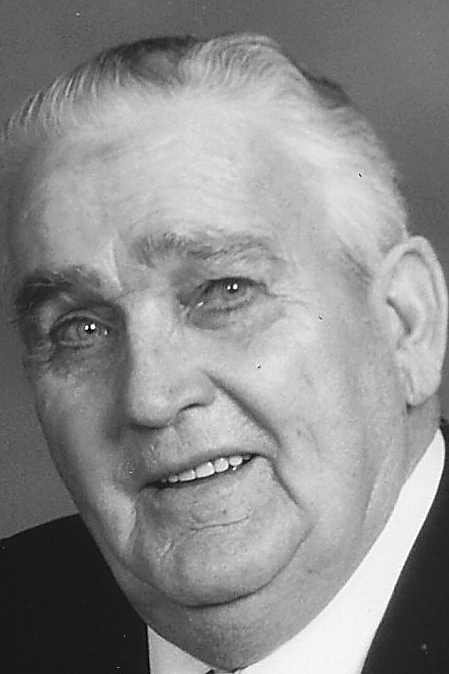 Ralph William “Bill” Roudabush, 91, a resident of Hollidaysburg Veterans Home, formerly of Clays­burg, passed away Friday at the home. He was born in Claysburg, son of the late Lester E. and Rose K. (Knisely) Roudabush. On Sept. 13, 1947, he married Margaret C. “Peg” Dodson in Winchester, Va., and she passed away Aug. 26, 2012. Surviving are three children: Brenda Marriner, Ira W. (Denise) and Kirk (Vicki) Roudabush; six grandchildren: Christina (Shawn) Claar, Danyell (Jeremy) Knott, Kaleb (Amber) Roudabush, April Ann (Andrew) Fencil, Jordan and Dustin Roudabush; seven great-grandchildren: Emily and Rebekah Claar, Kaden and Noah Roudabush and Quinten, Hudson and Paxton Knott; two sisters: Jean (Bob) Gordon and Joy (Vince) Dodson; and many nieces and nephews. He was preceded in death by a sister, Iva Johnston. Bill was a 1945 graduate of Claysburg High School, and he served in the U.S. Navy during WWII. In 1985, he retired as an inspector for PennDOT. He and his wife, Peg, owned Roudabush’s Market and Bakery. He was an active member of Christ Lutheran Church, Claysburg, where he served on the council and as its president, as well as the Building Committee and the Parsonage Committee. He was also lay assistant in the Allegheny Synod. He was a member of AA, celebrating 43 years of sobriety. He was also a member of the Blair County Farm Bur­eau, Blair County Democra­tic Committee, Claysburg American Legion, Duncans­ville Memorial Post 8724, a founding and the oldest member of the Blair County Veterans Honor Guard and a member and past vice president of Blair County ASFME Retirees. He enjoyed farming, hunting, Pittsburgh Steelers football, making sauerkraut and apple butter and spending time with his family. Friends will be received from 10 until the 11 a.m. funeral service on Monday, Aug. 27, 2018, at Christ Lutheran Church, Clays­burg, Pastor Judith Simsonson officiating. In­ter­ment will be in Clays­burg Union Cemetery, with military honors provided by the Blair County Veter­ans Honor Guard. Arrange­ments are by Leslie-Miller Funeral Home, Claysburg. In lieu of flowers, donations may be given to the Honor Guard, 1665 Newry Lane, Duncansville, PA 16635, or to Christ Lutheran Church, 206 Walnut St., Claysburg, PA 16625.